Today, we visited yet another orphanage in Wachara, Kenya. A wonderful retired teacher from Blue Valley Schools, Mrs. Susan Gammper, helped Agua Viva pick out some appropriate books for these children, and Mrs. Nancy Allen, was able to order them and get them to Kansas City in time for our trip. The response was unbelievable. 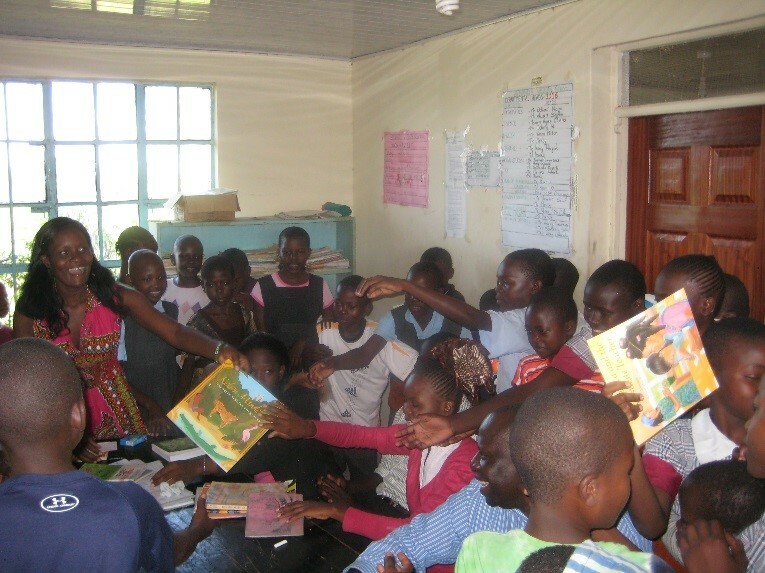 These new books may have been the best gifts these children have ever received. Much to our surprise the children immediately picked up the books and started reading them out loud “in English”. We were startled they could read and talk so plainly. I do not believe we could have given them anything in the whole wide world that they could have been happier with. 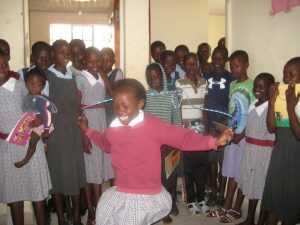 Some kids got a jump rope. Some children got a soccer ball. But, the books… the NEW books, were just so special to them. These children have been taught that Education is King, and they believe it.